How extensive should that disclosure be? Is that leaving too much up to the physician? Ethicist/neurologist Michael Rubin, MD, offers discussion points for how neurologists should respond to questions from patients about conflicts of interest. After the revelation that top scientists at Memorial Sloan-Kettering Cancer Center in New York did not disclose financial relationships with industry when they published dozens of research articles in major journals, a spotlight has been pointed—appropriately—at processes for ensuring thorough financial disclosures by clinician/researchers at academic medical centers. But how should patients themselves be informed of these potential conflicts? Neurology Today put the question to Michael Rubin, MD, assistant professor in the departments of neurology and neurotherapeutics and neurological surgery at UT Southwestern Medical Center. Dr. Rubin is chair of the UT Southwestern University Hospitals ethics committee and a member of the Ethics, Law, and Humanities Committee of the AAN. Under what circumstances should conflicts of interest be disclosed? The first piece of advice I give someone when encountering any patient-physician interaction when you're unsure what to do is to always return to the fiduciary relationship. The patient comes to us with vulnerability and with trust, and our mandate is to consider their needs, their medical pathology, their value systems, and to advocate for a plan that is in the patient's best interests. If you start from that paradigm, many ethical issues reveal their answers. When it comes to disclosures, patients have an expectation that when they come to you, you're qualified, you're looking out for them, and you're giving them advice in their interests. They're also assuming that your recommendations are based on medical knowledge and experience, not potential benefit to the physician. They will assume that you get paid some fee for your time, but it's outside the fiduciary relationship for you to be unduly influenced to recommend one drug over the other based on industry reimbursement. If you have medications or interventions for which there is clinical equipoise and one is either supporting your research or providing an honorarium, then you need to disclose that relationship, because it may influence why you recommend one or the other. You can still say why you think that approach is the better option. But if the patient doesn't know that your opinion may be influenced, you ought to tell them. You don't have to tell every patient everything you've ever been involved with, just what may be germane in this situation. A key governing principle is how direct the relationship is. If you're on the speaker's bureau for a drug company or talking directly about a particular product that you are recommending to a patient, the relationship is only one step apart and should be disclosed. However, if you did a study with that same company ten years ago, not related to the drug in question, it probably doesn't have a huge influence on whether you'd recommend the new drug today. That's where disclosures to patients may differ with reporting potential conflicts to journals or institutions. They have trained staff who will look at everything you've ever done and make sure it's compliant with regulations, as well as use their expertise to vet if they think you might have been influenced in some way. Your patients don't have that, and it's not fair to expect them to have that same level of expertise or time. Essentially, that forces you to make a judgment, to say, “Would my experience with this company be influencing me either consciously or subconsciously?” Maybe it's had an effect on you just to be exposed to a certain brand more often than another by virtue of your work with that company. A simple way to think about this decision is by flipping the script. Imagine that you're not the provider, but a patient or the family member of a patient, and you found out that a physician you were seeing had a particular relationship related to a drug or intervention but hadn't discussed it with you. How would you feel about that? If you would feel like important information had been withheld, then it's probably something you should disclose. Not everyone would like this approach, it's true. Some would say it's leaving too much trust to the physician to make the judgment, so they would say there need to be rules or guidelines or direct disclosure requirements through a formal gathering of information. If something like that were to happen it would have to be either via a federal or state mandate, and it would clearly be a very complicated process. It would involve, again, disclosing anything and everything, and then having to have it all vetted and someone trying to figure out what's relevant to that patient. If you're mandated to report every potential conflict to a patient, they'll end up with a very long document that is just another form they don't understand completely. We probably haven't developed the best system already for disclosure mandates and expanding its scope might not be beneficial. Self-regulation is an extremely important role for any professional group. We need to take a part in how that regulation occurs and to help develop it voluntarily rather than have demands placed on us that may not reach their intended end as successfully. Are there risks that go along with the benefits of transparency? That's a very important question. If you err on the side of total disclosure and give patients information that's not relevant to their clinical situation, they might be thinking that they should wonder about your integrity or trustworthiness even if information is unrelated. Being told of potential influence that's not relevant could create doubt where it didn't exist before. And in many ways, relationships with industry have been shown to advance science. If practitioners feel that they can't have a healthy relationship in the clinical care setting because of disclosure of events that are unrelated, they may end up choosing to either be researchers or clinicians, rather than both, which clearly would be detrimental. How should a physician respond if a patient comes to them with a question about relationships they've looked up in the Open Payments database? I usually begin such a discussion similarly to the way I would talk with a patient who has gotten a second opinion somewhere else, or who has read about their disease online or from other sources. We should always welcome it and tell them that there is a lot of value in an informed medical consumer. Then talk directly about the relationship and what it was. What is a speaker's bureau? What is an honorarium? What qualified you to have the role you had and why did you do it? If you show reluctance about discussing the topic, the patient will be more skeptical of your ability to set aside financial relationships in making clinical judgments. 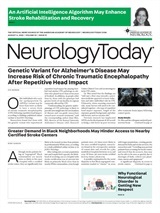 Neurology Today19(7):14-15, April 4, 2019.